In my opinion, people don’t eat enough collard greens, and in my honest opinion, I don’t either. This week, I wanted to change that, and it turned out that there were some HUGE, BEAUTIFUL collard greens at Mrs. Greens… score. I have cooked collard greens in the past, and because I don’t like sautéing or steaming my greens for too long, they always turn out pretty tough and fibrous. Traditionally, collard greens are cooked for a long period of time and are a staple in southern cooking. 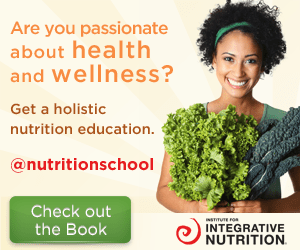 Although delicious, these greens tend to lose a lot of their nutritional content when over-cooked, so I needed a way to incorporate them into a dish, preferably at their highest nutritional content… raw! 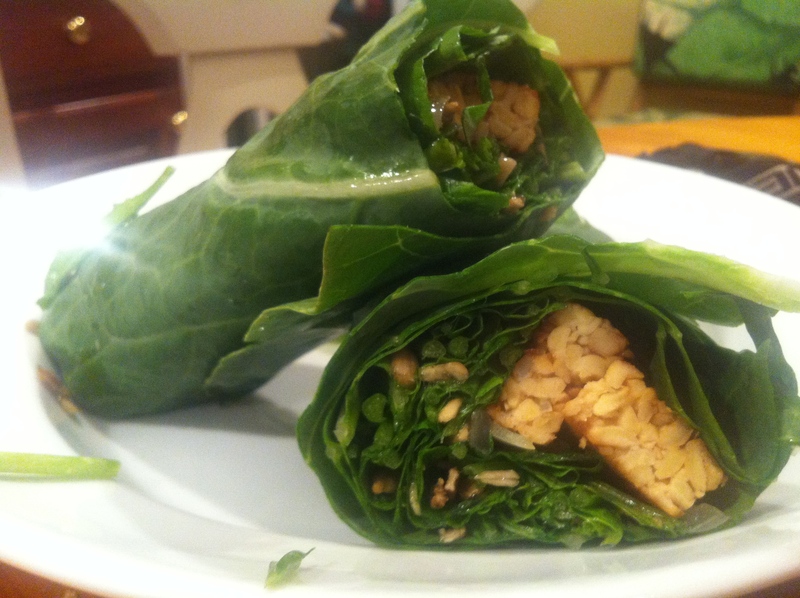 Que the collard green wrap; the perfect way to ensure that you are benefitting from all of the awesome nutrition that collards have to offer while replacing a potentially unhealthy flour wrap. Why are collard greens so good for you? Well, let me explain. Collard greens are known for their cholesterol-lowering capabilities and are shown to be the most successful at doing so compared to all other cruciferous veggies. They also contain many cancer-fighting capabilities, and are loaded with vitamins A, C and K, as well as a ton of minerals and nutrients. 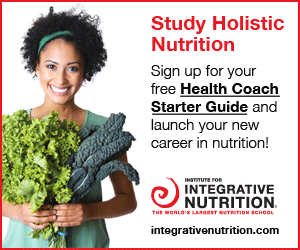 They are super detoxifying and help to support our immune system by fighting inflammation throughout the body. You can put whatever you wish in this fun wrap. 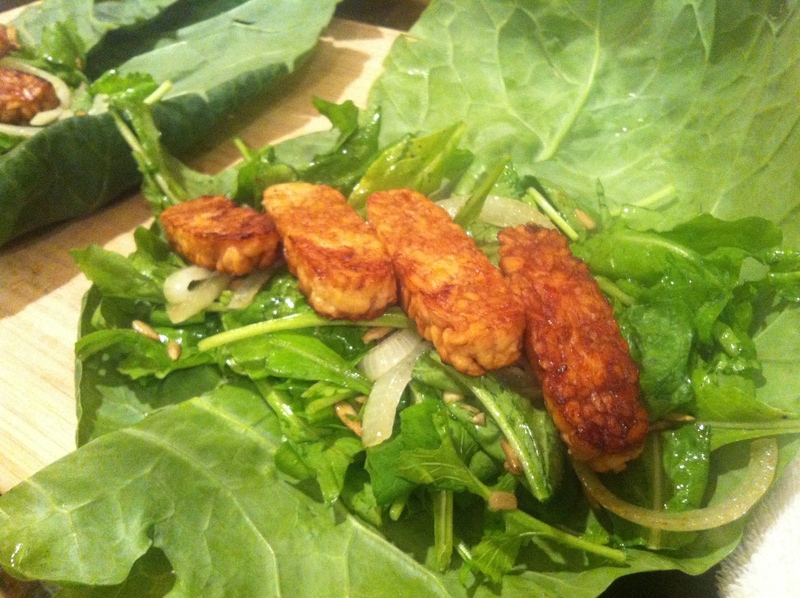 Here, I sautéed some tempeh and included some greens, some seeds, and some cooked onions. 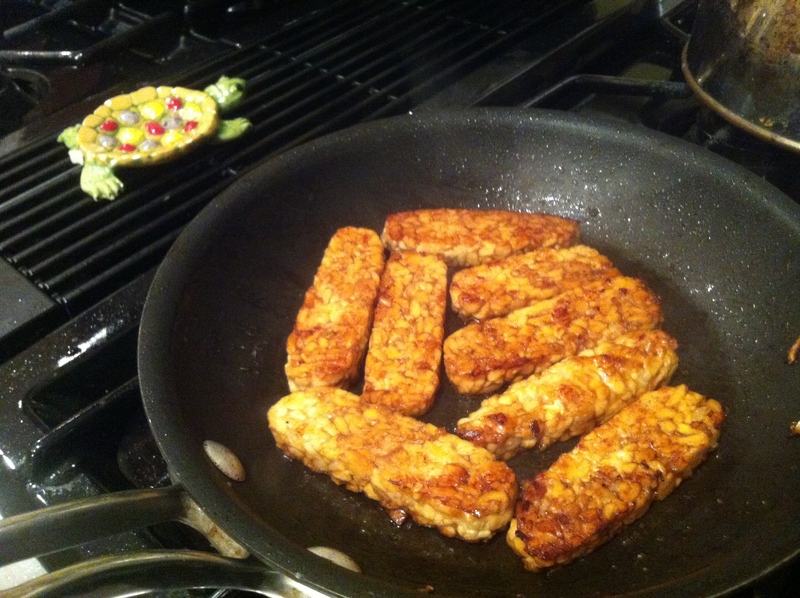 Begin by slicing your tempeh into ½ inch pieces, and place them in a pot of boiling water with 2 tablespoons Braggs. They can cook here for up to an hour. This process softens them, keeps them moist, and also infuses some of that wonderful flavor from the Braggs. Here, I cooked them about 20 minutes. Rinse, dry and dress your arugula. Toss in the sunflower seeds and mix everything together. 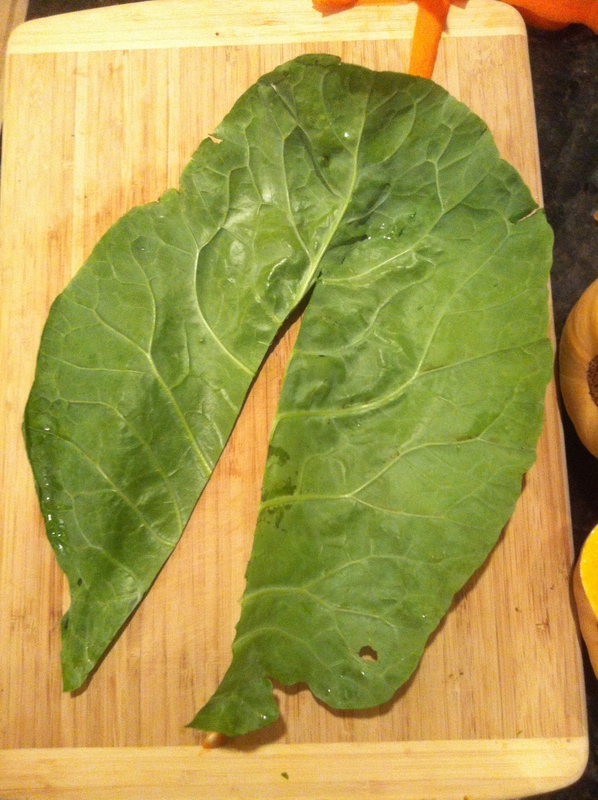 When you rinse your collard greens, be very careful, as you don’t want them to have many rips. Use a towel to pat them dry, and lay them aside to continue drying. In a fry pan, sauté the slices of onion in some coconut oil over low heat until they are translucent. Set aside. Heat some more coconut oil in your fry pan. Remove the tempeh from the boiling water and place the pieces in the pan. Add the last tablespoon of Braggs and sauté on each side over a low flame for about 5 minutes. While they are cooking, lay your collard leaves on a flat surface, preferably a cutting board, and carefully slice out the stem. It is important to leaf the top part connected. Where the stem was removed, fold the 2 sides so they are overlapping and begin to add your arugula, seeds and onions. When the tempeh is done cooking, lay the pieces on top and wrap everything. Start at one end, fold the leaf over all of the goodies, pull everything together with a slight tightening of the fist, and then roll. Cut in half, and they are ready to be enjoyed. Try replacing your traditional four wraps with these nutritious green wraps at any meal, and let me know what you come up with. Tags: collard green, tempeh, vegan, wrap. Bookmark the permalink.